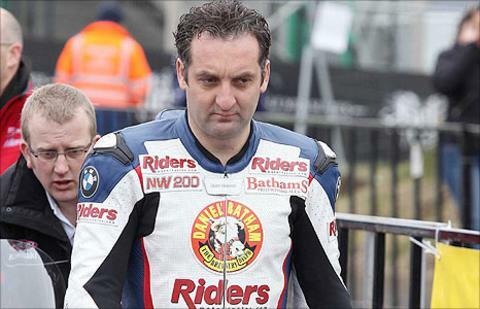 British Superbike veteran Michael Rutter made history on Sunday by winning the Macau Grand Prix for a record seventh time. Rutter's Riders Ducati team-mate Martin Jessopp was second, with Ian Hutchinson taking third in his comeback race. Ballymoney brothers Michael and William Dunlop finished 12th and 13th on their debuts on the 3.8-mile Guia circuit. After failing to finish last year, Stephen Thompson from Crumlin came 16th in the 10-lap street race. Yorkshireman Hutchinson, who won three races at the Ulster GP in 2010, missed this year's big international road races after sustaining serious leg injuries in a crash at Silverstone.